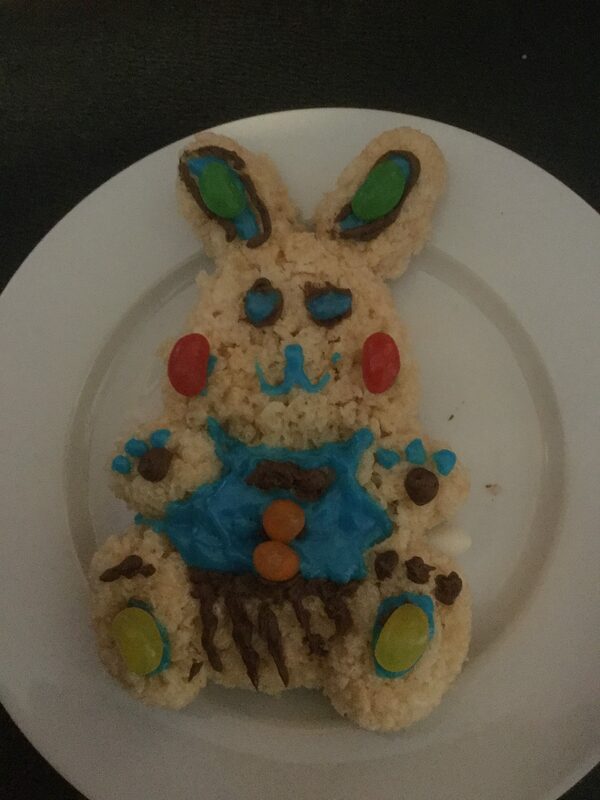 Mr. Bunny is made out of Rice Krispy cereal. He is cute and delicious! He is going to work at the carrot cake factory on Monday!